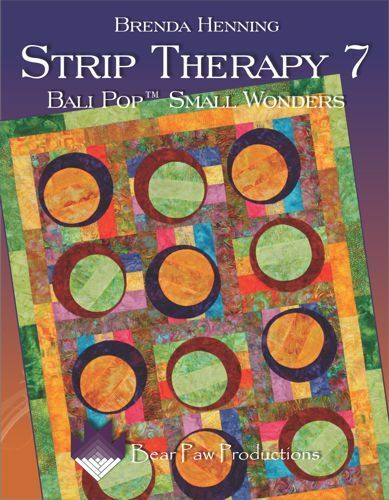 This fun collection of 6 quilt designs is based upon Hoffman Fabrics 2 1/2" Bali Pop strip sets. You can substitute other "Jelly Roll" pre-cut strips or cut your own strips from your own stash of fabrics. Quilt projects include: Full Moon (38" x 48"; 56" x 66"; or 76" x 86") ; Meteor (42" x 50" or 58" x 66") ; Shaded Hexes (18" x 49" or 54" x 69.25") ; Eccentric Star (16" x 48" or 70" x 78") ; Magic Triangles (20" x 36" or 54" x 62") ; and Chevrons (32" x 40" or 58" x 62").